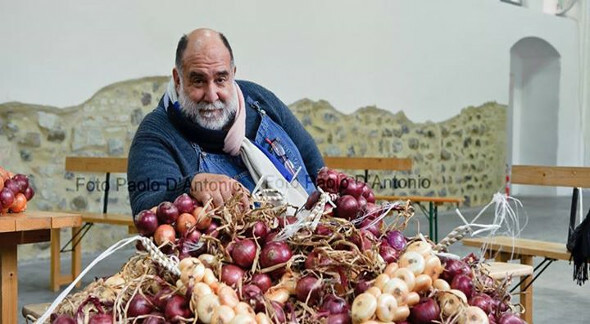 The Onion of Cannara Festival, in the small town of Cannara between Foligno and Assisi, is this year at his 35th edition and it offers a program full of events and shows. The festival is dedicated to one of the most known and precious products of the territory, the onion of Cannara, that you could taste in all of its recipes at the many stands prepared in the medieval village from the 2nd to the 6th and from the 8th to the 13th September 2015. Try the pennette alla cipollara or the ravioli with red onions and let yourself be conquered by the intense flavour of the onions soup. 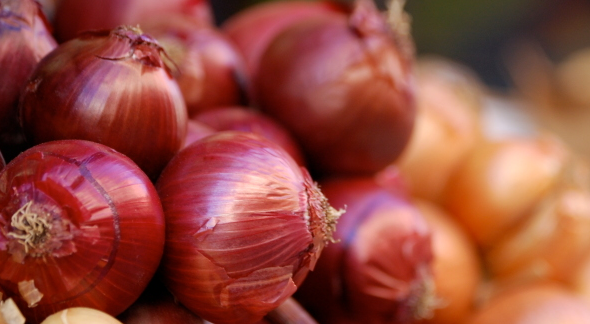 Taste the roasted onions or the sweet and sour onions, dare with a spiedino made by red onions and pecorino cheese with curry, or with a perfectly seasoned second course, from the lamb and onion to the sausages alla cipollara. Don't miss the desserts: bomboloni at the onion flavour, crostata of candied onions and dried fruits cream and a lot of others sweets are waiting for you ! Concerts, shows and a special appointment with Giorgione! In addiction to the culinary stands, during the festival an evocative show-market is taking place in the streets of the village , dedicated to the onion of Cannara and to the traditional agricolture productions. For the occasion, there will be the straordinary opening of the Archeological City Museum, whith his famous 65m2 mosaic from the Hurvinum Hortense thermal baths. And every night, live dance shows or music concert! On thursday 10th September, live at 6.30 pm from the Gambero Rosso Channel, don't miss the event with Giorgio Barchesi, just known as Giorgione. The famous chef, one of the most loved face of Gambero Rosso Channel, is been nominated Ambassador of the Onion of Cannara and he will reveal all the secrets of this vegetable during a special cooking class. At the culinary stand “The bloomed garden” is being possible to taste a menu totally gluten free. 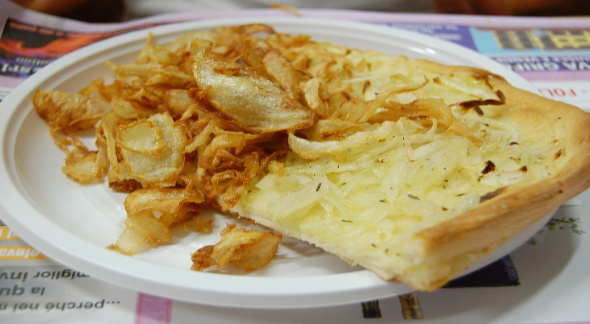 Infact the Onion of Cannara Festival is inaugurating a collaboration with the Italian Celiac Association, Umbria section, and it is proposing a special menu at the stand orgenised by the Pro Loco of Cannara. The evocative name of “boomed garden” remembers the place where the stand was at the beginning, the suggestive frame of the ancien courtyard of the former convent of Poor Clares. And if this is not enought, we remember you that the village of Cannara has a strategic position, between Assisi and Foligno and very close to the beautiful cities of Bevagna and Spello. A unique occasion to combine the love of food with the discover of Umbria! Here the best hotels and farm houses of Spello! All the informations about the program in the file at the bottom of the page or in the official site of the Onion of Cannara Festival.